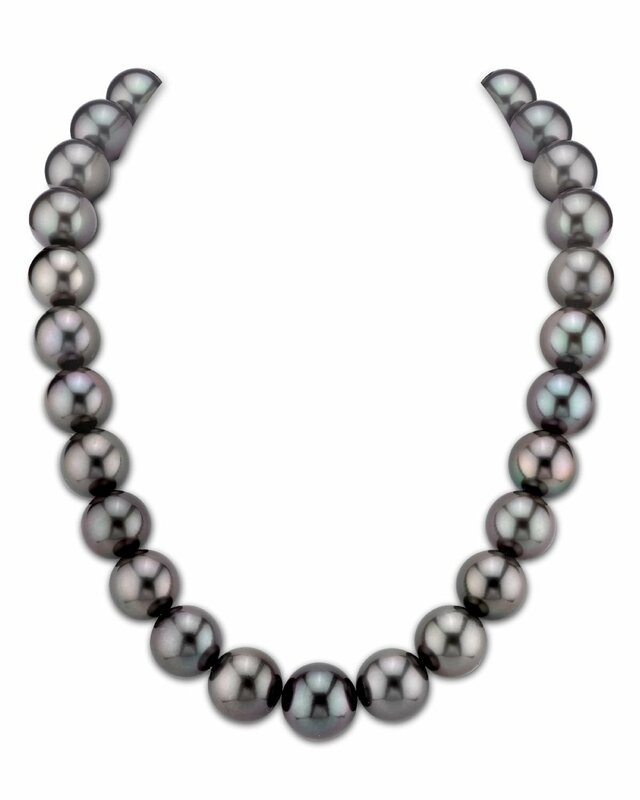 This gorgeous Black Tahitian South Sea pearl necklace features 14-16mm, AAAA quality pearls hand-picked for their radiant luster and overtones. This strand is accompanied by an official appraisal by the GLA (Gemological Laboratory of America) detailing the specifics and retail value of the strand. 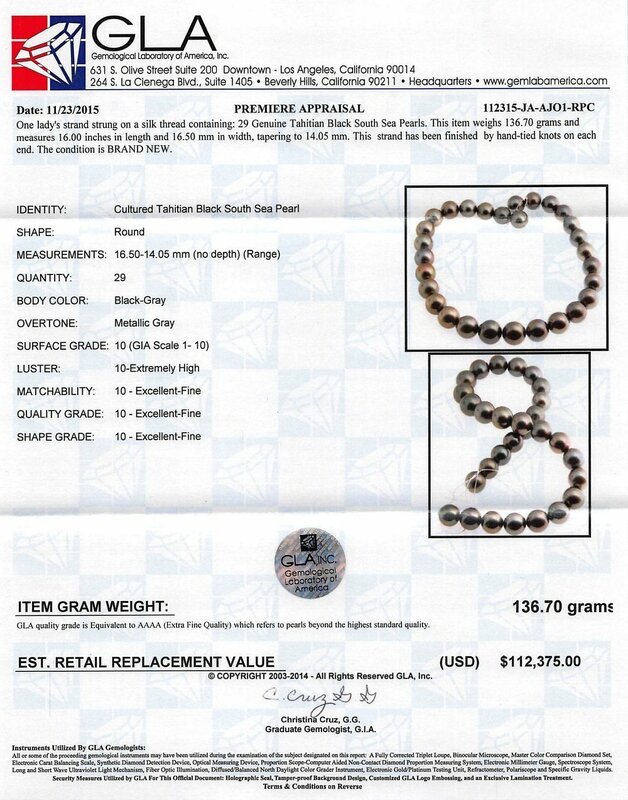 As you can see on the actual certificate, this necklace came in with flawless grades of 10's across the board, with a retail value of $112,375!